There is a stillness to the moment, despite the wind and rain. Deep breaths. Focussed thought. Nothing quietens the mind quite like anticipation. Two days at sea in Plymouth Sound, off the south coast of the UK, has come to this: a world-class freediver at the invisible start line of a World Record attempt, her safety divers patiently waiting for her cue, the rest of us excitedly looking on. 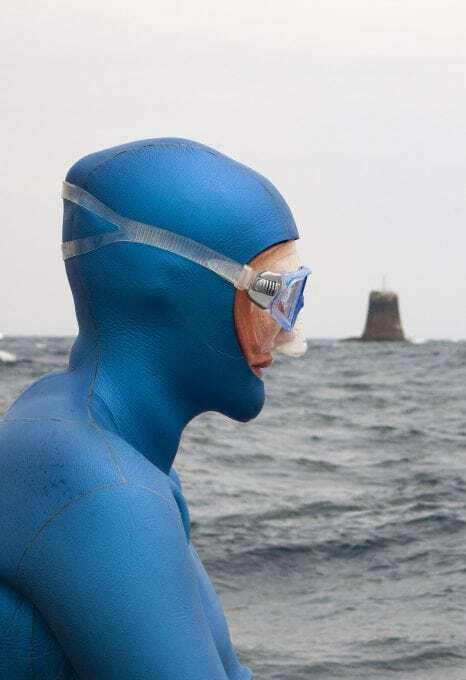 She bobs in the water waiting for the right moment, her dazzling blue wetsuit conspicuous against green sea and grey sky. The decks of the two Princess yachts – ordinarily filled with the hum of chatter from those of us there to capture the moment – are silent. Engines tick over as seawater sloshes against hulls. In the distance gulls spill from the upper reaches of the iconic lighthouse at Eddystone Reef, their squawks lost on the wind. The skipper of the diver support RIB carefully adjusts his positioning, ready to move. Georgina Miller is one of the UK’s foremost freedivers. The hallmark of any leading professional athlete is, of course, records – and Georgina has had plenty. She is a six-time UK national record-holder who has competed with the very best in the world. Capable of holding her breath for more than seven minutes, she certainly has the pedigree to set the record for the ‘longest distance travelled underwater on a single breath using a diver propulsion vehicle’ – the reason we are all in the Sound. The obvious question, though, is: why? 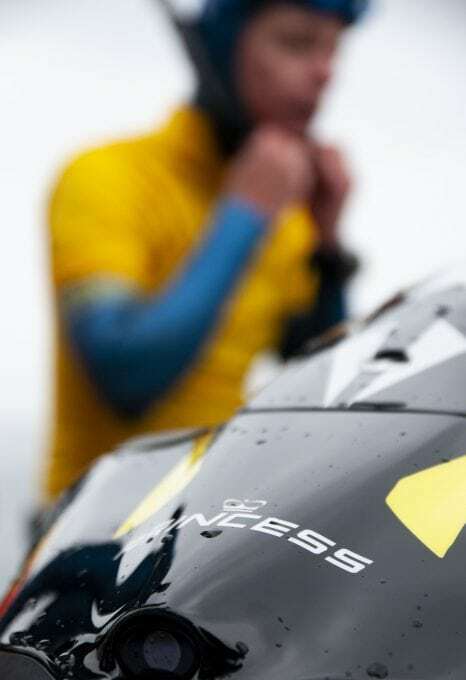 Taking place on World Oceans Day 2018, the World Record attempt represents an opportunity to bring together world-class athletes and pioneering brands, such as Princess Yachts and SEABOB, for a healthy dose of human endeavour, ocean adventure and, importantly, fun. Unlike in the competitive freediving world, where Georgina is used to chasing established records, nobody has (perhaps unsurprisingly) tried this before. Naturally, Guinness World Records has a process for ‘first attempts’ – a safety net to avoid individuals hailing themselves record-breaking champs for thoroughly unremarkable but never-before-attempted feats. 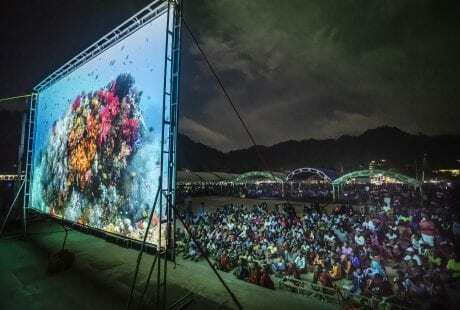 In this instance – the ‘longest distance travelled underwater on a single breath using a diver propulsion vehicle’ – Guinness World Records has set the target at 400 metres. The distance is based on static breath-hold records and the top speed of the SEABOB Georgina would be using. In the run-up to the day itself, everyone involved – including, and most importantly, the freedive team – felt this was achievable. Unlike in the competitive freediving world, where Georgina is used to chasing established records, nobody has tried this before. 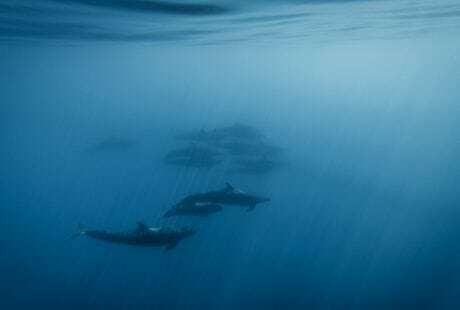 The freedive team had familiarised themselves with the SEABOBs the afternoon before World Oceans Day, giggling with delight as they swerved and danced around each other like mantas at a cleaning station – the ocean, as ever, showing itself to be the greatest playground of all. That afternoon session had also offered an opportunity to consider the logistics of the record attempt – how Georgina would be accurately tracked, safety diver conduct and, critically, best utilisation of time underwater so Georgina gave herself the strongest chance of setting the record. The most significant issue to be raised on those initial test runs centred on navigation. Without a point of reference or an in-built compass on the SEABOB, Georgina had no way of navigating underwater. 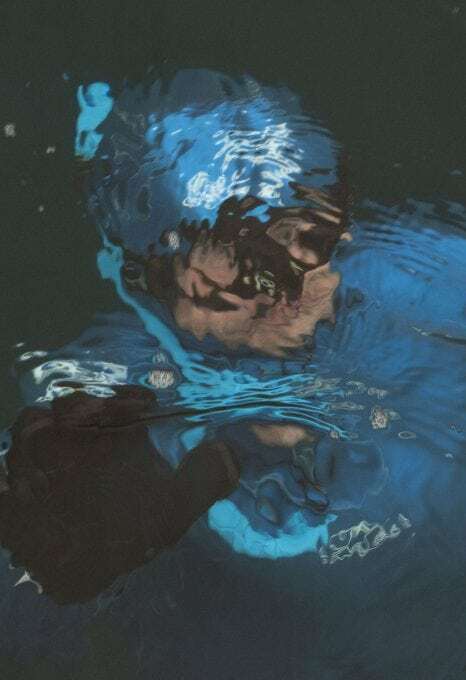 While her dive computer did have a compass, the positioning of her wrist and the speed at which she was moving rendered it unreadable – her mask would be displaced on turning her head. It was a concerning revelation. Straight-line navigation was critical due to the strict record protocols set by Guinness World Records. Total distance covered would be measured in a simple A-to-B format, a straight line plotted between two GPS coordinates: Georgina’s point of entry and her point of exit. Ultimately, deviating from a straight line underwater – a long curve or a zigzagging wiggle, for example – would add time and meterage to the run, but not the official recorded distance. 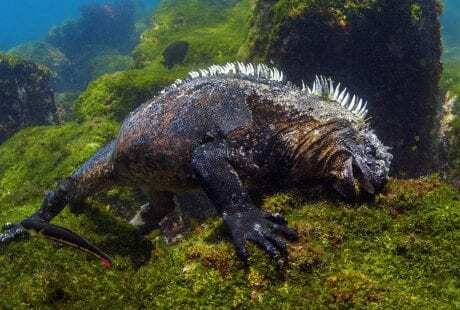 To hit 400m, Georgina would be looking to dive to a depth of 4-5m as quickly as possible and maintain a straight course for as long as possible at a speed she – and her mask – could handle. The lack of a readable compass was putting that plan in jeopardy. As with a great many things in life, the problem was solved with zip ties. A dive computer with compass was strapped to the centre of the SEABOB where, it was hoped, Georgina would be able to view her bearing without too much head movement and associated mask slippage. That was the theory at least. We would discover if it had worked on the first official run on World Oceans Day. Trigger pulled, Georgina leaves the surface behind and descends to the world below. Her team follow suit, vivid blue and yellow forms moving in unison. A drone keeps pace above, following the brightly-coloured neoprene shoal still visible a few metres below the waterline. 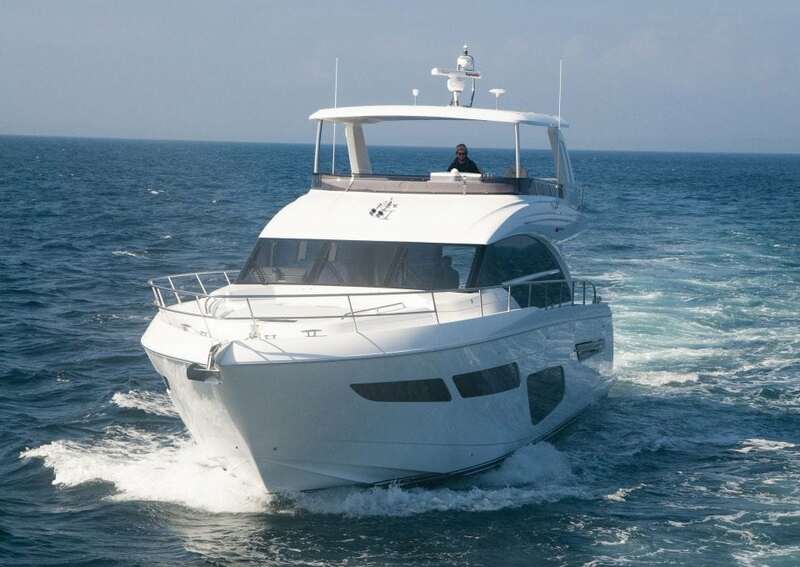 Chatter returns to the decks of the yachts as people track the second-hands on their watches and discuss the distance that Georgina may have covered. Gulls continue to spill from the lighthouse. Waves crash at its base. Something isn’t right. The surface support team – both those on SEABOBs and in RIBs – have moved in an arc. So too has the drone. Georgina had been underwater for two minutes, enough time to have clocked an admirable distance, but no arms are raised in celebration and the radio does not surrender its crackle to the sound of record-breaking news. Instead, it is relayed that navigation remains an issue – despite the team’s zip tie ingenuity. The digital compass is struggling to update quickly enough to enable Georgina to return to her target bearing when she veers off course. Not to be dissuaded, the team perseveres – a trait typical of world-class athletes. Of course, with breath-hold it’s not a case of simply restarting the clock or heading back to the start line. With each successive attempt comes rhythmic preparation: wiping the mind of the previous run, slowing the heartrate back down after the flurry of post-attempt conversations and, critically, breathing right. In those quiet moments before each run, as clouds lumber overhead and rain continues to fall, decks invariably fall silent and the support team resolutely fixes their attentions on Georgina as she settles back into her pre-run routine. 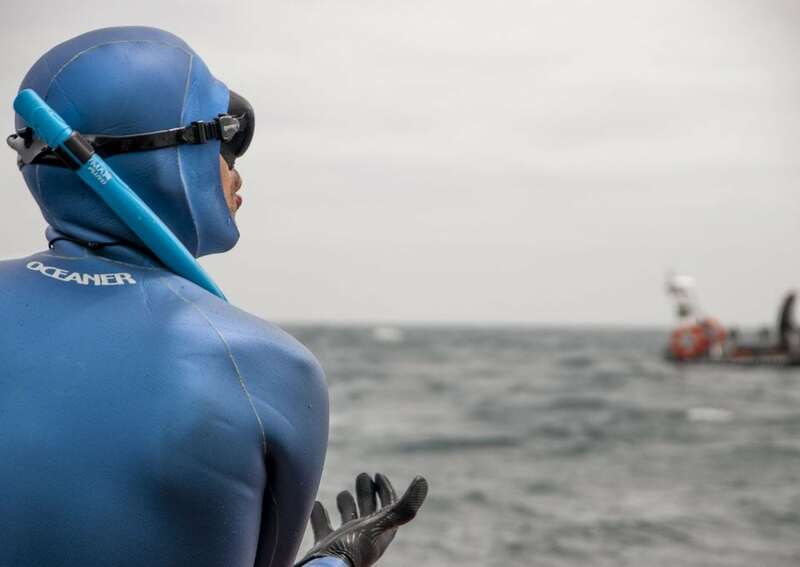 When she returns to the surface, her blue hood breaching the surface before body and ‘BOB follow, guesstimates of time and distance are shared as we wait for official data from the Guinness World Records boat. On each occasion, no arms reach for the sky in celebration, no horns sound-off in victory. It was a concerning revelation. Straight-line navigation was critical due to the strict record protocols set by Guinness World Records. Even when faced with almost certain defeat, there is a will to give it a go, to push one final time, because maybe, just maybe. The ocean always has the final say. It will with the breaching rocks at Eddystone Reef many years from now, and it has done on this occasion with Georgina and her team. 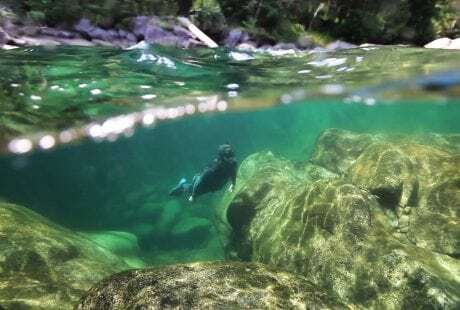 The freedivers’ suits are no match for the cool water that gushes beyond the neck seal as a consequence of the unusual speed at which they are travelling. With core temperatures dropping, the decision is made to give the record one final go, despite still being well short of the target and navigation remaining impossible. The freedive team resumes its familiar pre-run rhythm as the boats around them hold their positions. The rain continues unabated. All involved watch on in hope rather than expectation as Georgina disappears. Even when faced with almost certain defeat, there is a will to give it a go, to push one final time, because maybe, just maybe. The will to succeed is, by any measure, a success in its own right. Desire and hard work are journeymen victories chalked off before any final accolade is bestowed or record is broken. And even in those instances when ambitions remain unfulfilled, the victories that preceded them are no less meaningful. As Georgina pulls her shivering body from the water, the record still unset, we are reminded of what the day has been truly about. Not a record, but people. Committed ocean-goers. Professional athletes full of endeavour and pride. Brand ambassadors with a sense of adventure and a desire to highlight the wonder of our beautiful seas. They did just that. It was pretty fun too. 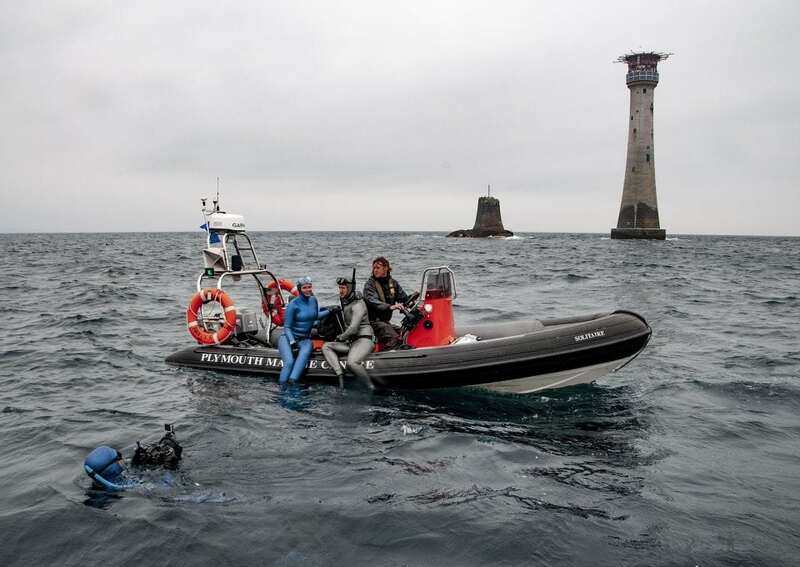 The day before the World Record attempt, Georgina Miller and her team took a closer look at Eddystone Reef, an offshore reef returned to health thanks to the custodianship of Princess Yachts and the Marine Conservation Society. 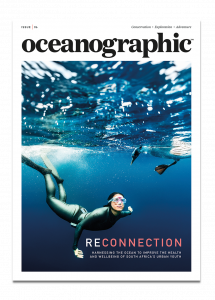 Read more about this unique partnership and what the freedivers saw in Issue 02 of Oceanographic Magazine.